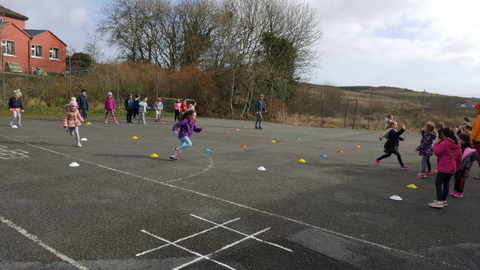 The Clare GAA board is providing coaching for Gaelic football in our school. 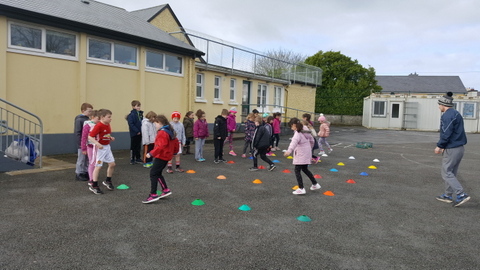 This coaching takes place on Tuesdays for the children from 1st to 6th classes. Children are enjoying the sessions.